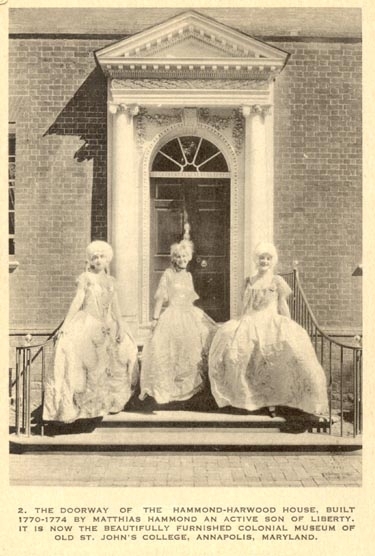 One of the new docents at the Hammond-Harwood House asked me to clarify how the descendants of William Buckland, the architect who designed the House, eventually came to live in it. I tried to explain it, but quickly realized that a visual aid would make both of our lives much easier. 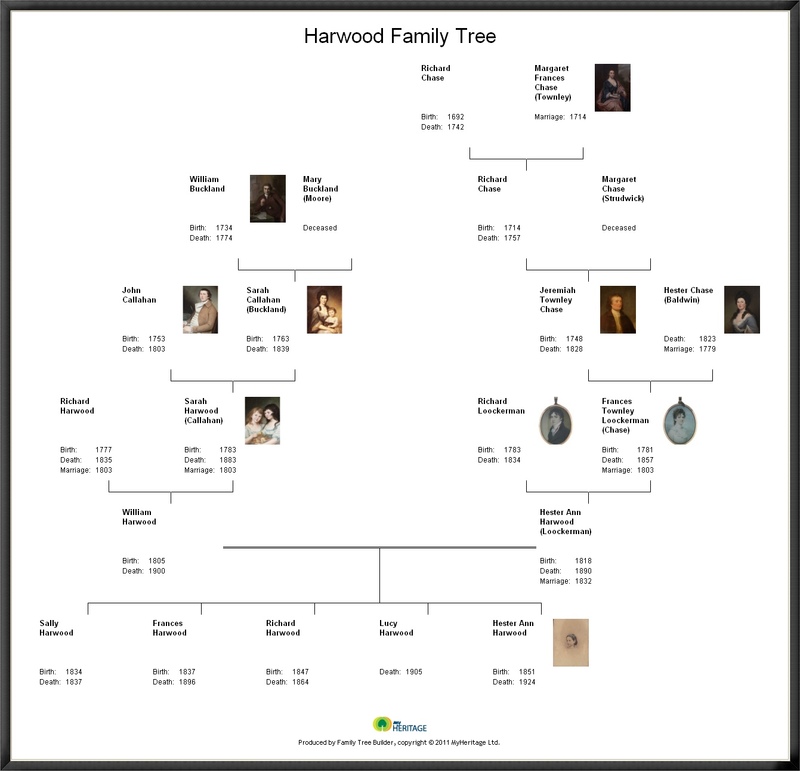 So I spent yesterday afternoon playing with a free family tree tool I found online, and now (hopefully) it is easy to see that William Harwood married Hester Ann Loockerman, whose grandfather Jeremiah Townley Chase had purchased the house for his daughter Frances Chase Loockerman and her family in 1811. 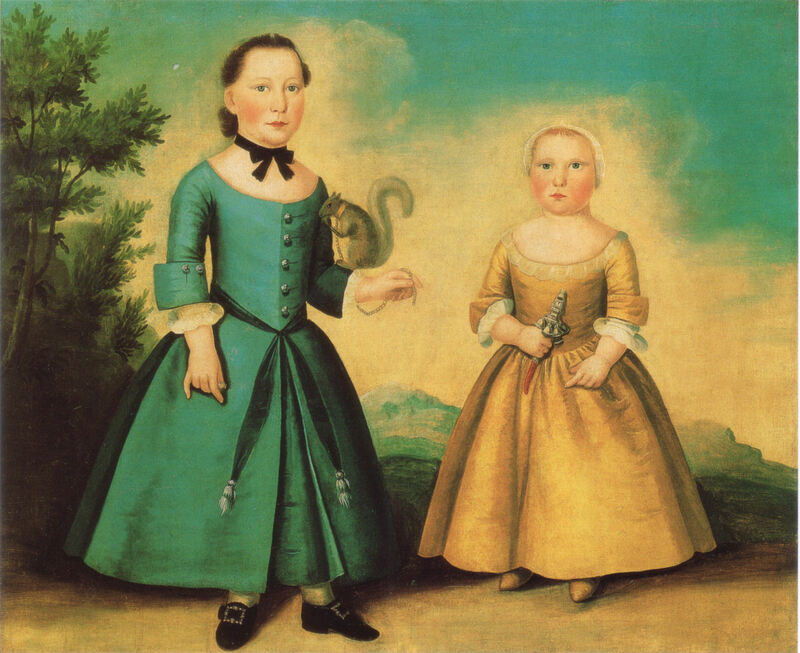 William and Hester’s youngest daughter, Hester Ann, was the last private resident of the House. Click on the family tree to enlarge it, and let me know if you have any more Chase/Loockerman/Buckland/Callahan/Harwood information for me to add. 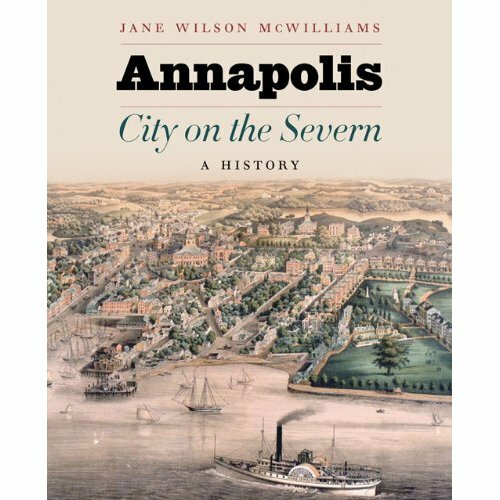 Jane McWilliams spent years researching and writing this comprehensive history of Annapolis, and it shows. The book covers the evolution of the town from 1649 to 1975 in with an amazing amount of detail. Should you feel the need to rush out and get a copy for yourself (which you should), the book is now for sale in the Hammond-Harwood House Museum Store. Members receive a 10% discount. I was feeling uninspired for this week’s edition of Friday Photo, so I did a quick Google Image Search for Hammond-Harwood House. These vintage postcards turned up, and I spent a significant amount of time marveling at how much our ballroom has changed. There’s no date on the postcards, but they’re definitely mid-20th century. Many of the pieces of furniture shown (and those amazing gold silk valances) are still in our collection, but the way in which they’re displayed is so different. The postcards show a ballroom that is beautiful and full of ornate objects, but looks untouched. 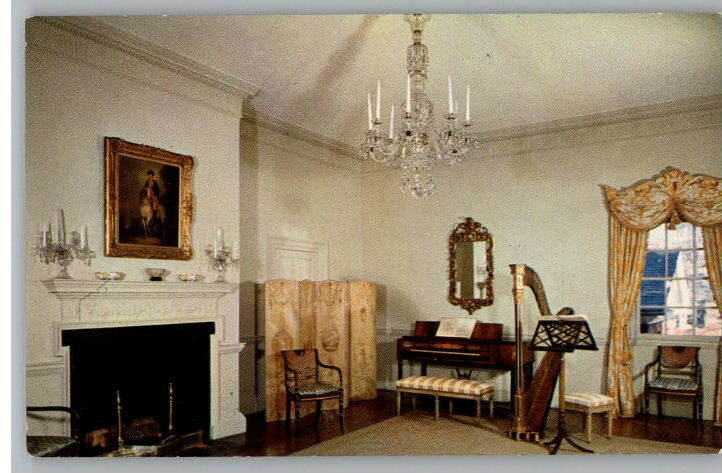 Today, we try to give visitors to the House a better idea of how the room could actually have been used, with chairs pulled up to a set tea table and music books open on stands. 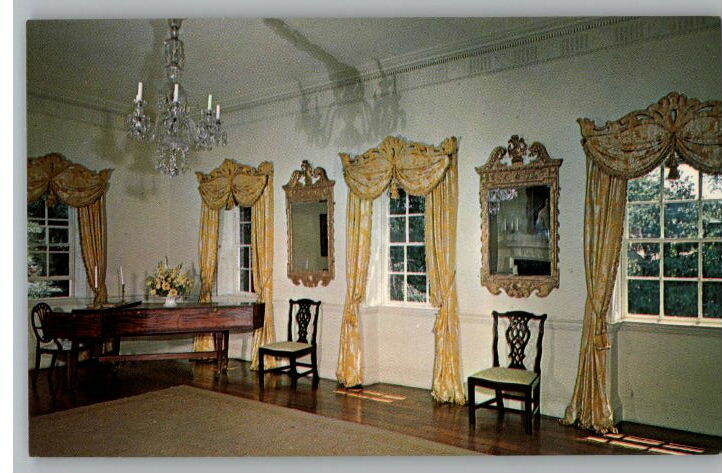 Although I would be tempted to pull those gold valances out of storage, if they wouldn’t just blend in with the yellow paint now on the walls. Anyone who knows me knows how important food is to me; lunchtime is often a highlight of my workday. Today, I’d think I’d like to have a “Monticello salad,” which would include “a mixed bouquet of greens, including spinach and endive for winter use, orach, corn salad or mache, pepper grass, French sorrel, cress, and sprouts.” Apparently Thomas Jefferson really liked food too, and grew an impressive variety of vegetables at Monticello. He also liked wine; when he returned to America from France after serving as America’s minister there, he brought back 680 bottles. I learned these and other fun Jefferson food-related facts in a fabulous blog post at http://b-womeninamericanhistory18.blogspot.com/. Careful – it might make you hungry.